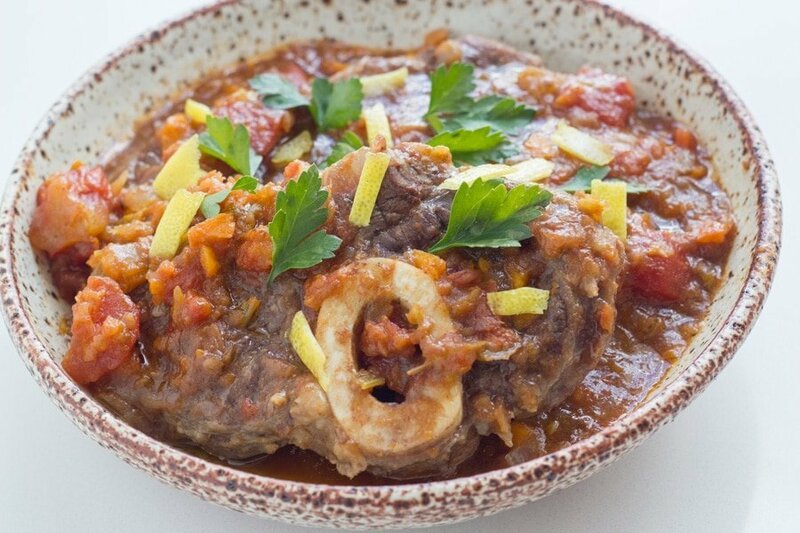 Slow Cooker Osso Bucco has to be one of the tastiest meals ever. The meat is so tender and is literally falling off the bone. It is always a winner when I make it for family. Osso Bucco is one meal that I grew up with. 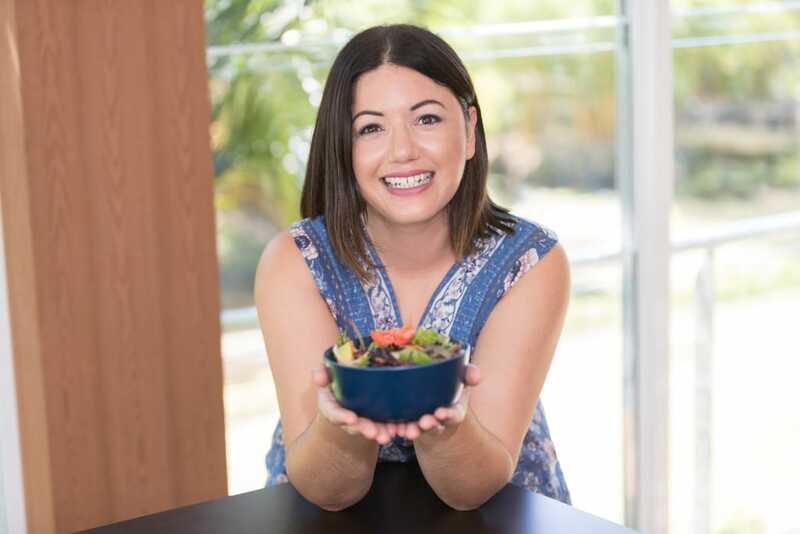 My mumma would make it a few times a years and my version has been adapted to be made in a slow Plus my version is also keto, lchf and paleo friendly! I love preparing a dish in the morning and then letting it cook all day. I always make a big batch also for my hubby to take to work. I cook mine on low for 8 hours and usually serve with quinoa. Cauliflower rice or zucchini noodles would also work well. Some of my other adaptations of family favourites include my Red Lentil & Quinoa Soup and Chicken & Vegetable Soup with Quinoa and Lemon. 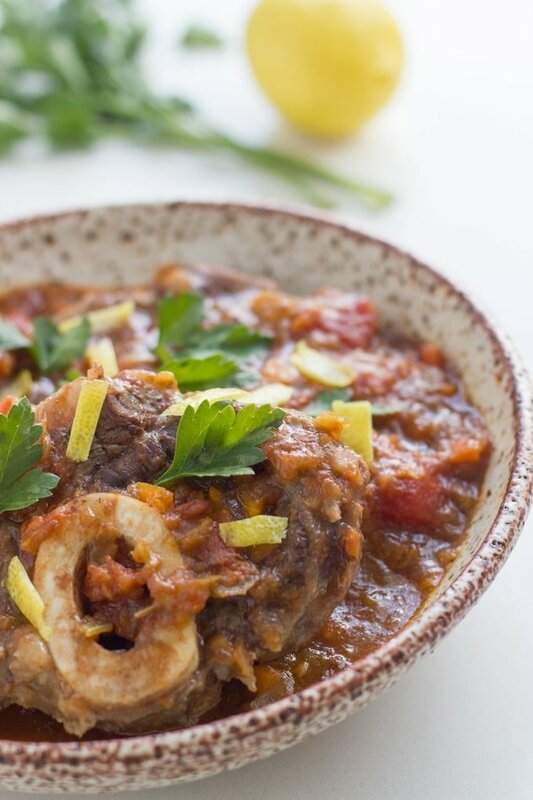 Slow Cooker Osso Bucco has to be one of the tastiest meals ever. The meat is so tender and is literally falling off the bone. It is always a winner when I make it for family and friends. Heat a large, non-stick fry pan on moderate-high heat, then add the coconut oil. Once the oil has melted, add the shanks and cook until they are browned on all sides (approximately 6 minutes). Then remove the shanks from the pan and place in the slow cooker. Then add the onion, garlic, carrot and celery and cook until for approximately 5 minutes or until golden and soft. The add the tomatoes and thyme leaves and stir to combine. Cook for a further 5 minutes and then transfer to the slow cooker. Add the stock to the slow cooker and cook for 8 hours on low or 5 hours on high until the meat is tender and is practically falling off the bone. To serve, spoon the osso bucco into bowls and top with the parsley and lemon zest. 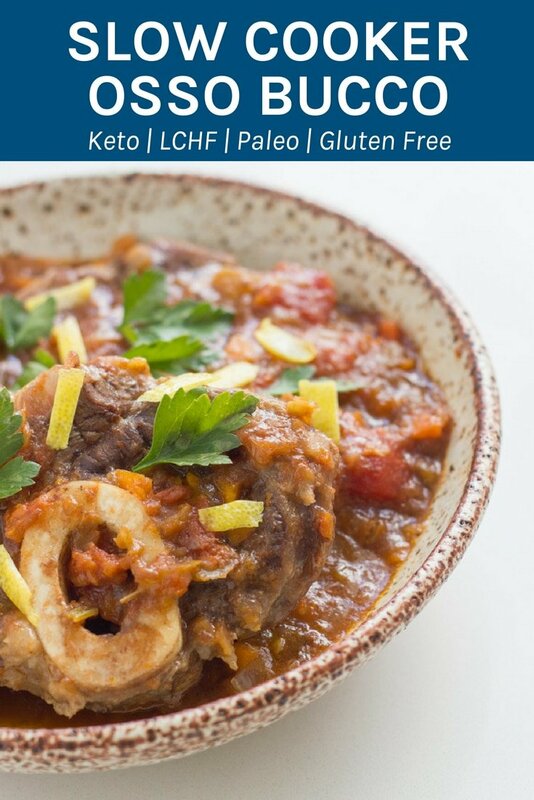 Note: Osso Bucco goes well with quinoa, cauliflower rice or zucchini noodles. Cooked last night Absolutely delicious. We loved it. Thanks so much for the feedback Robert!